If you were looking for a series heavily mired in ongoing Marvel continuity and events, I’d be hard-pressed to recommend anything before New Avengers. Writer Brian Michael Bendis has been instrumental in ushering in the age of events that has dominated Marvel comics for the last decade, and New Avengers was his main ongoing series that picked up after “Avengers Disassembled,” leading through the events of Civil War and Dark Reign and culminating in Siege. The first three story arcs (see Final Thoughts – New Avengers, Vol. 1-3) set up the reason for the new team and gave them some room to stretch and grow. The next two arcs – Volume Four’s “The Collective” and Volume Five’s “New Avengers Disassembled,” are very reflective of the state of the Marvel universe, and would be incredibly confusing for anyone that wasn’t also keeping up with other trades and series. Thankfully I’ve been diving into Marvel comics whole-heartedly. “The Collective” finally answers the question that was posed at the end of House of M – If so many mutants lost their powers, where did all that power go? Turns out they were all absorbed by a quiet mutant living in Alaska. Michael Pointer had no idea he was a mutant – his power was to absorb other powers (Like Rogue I suppose) and he had never lived near any other mutants. 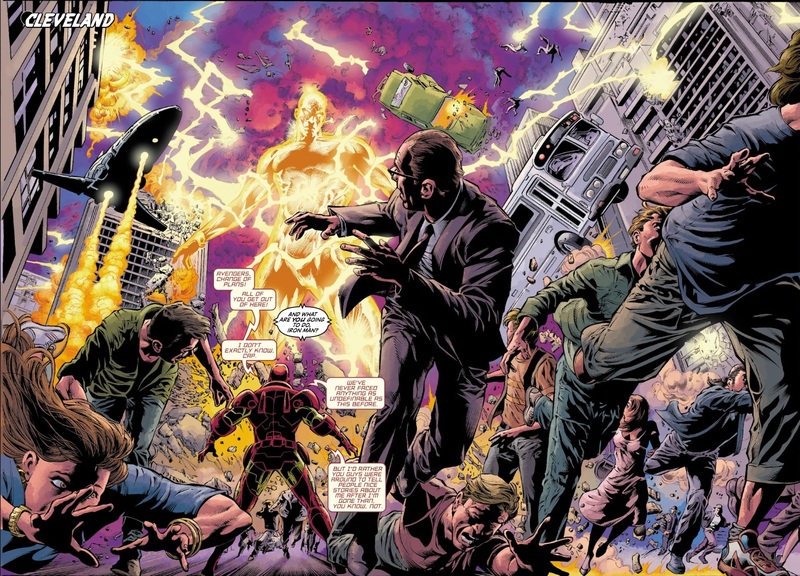 The resulting influx of millions of mutant powers makes him an energy being of god-like power, and he destroys his poor hometown and everyone in it in a sudden rampage. Alpha Flight is called in to stop him as he travels through Canada to America, and he promptly wipes them out (Which begets a new team called Omega Flight at the end of Civil War). 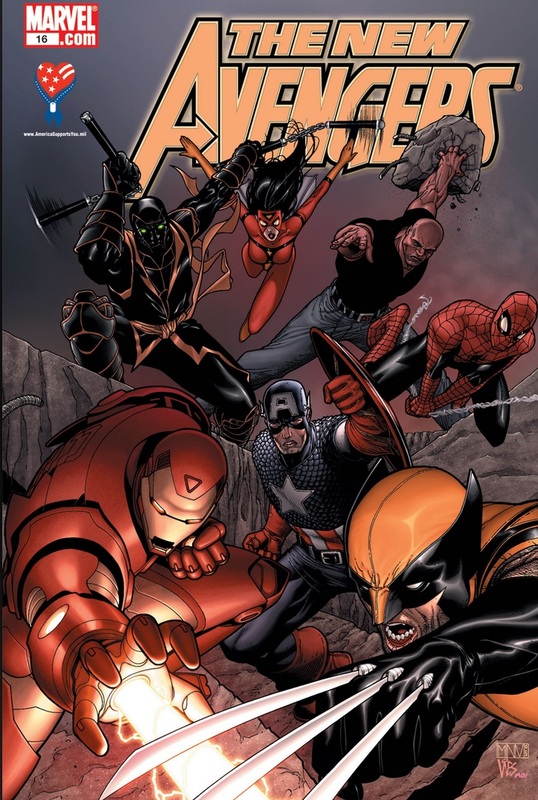 The Avengers are called in to deal with them, as well as some guest stars like Ms. Marvel. Most of the story is spent simply keeping him at bay (mainly using Sentry’s equally god-like powers) while they figure out just who the hell he is, and the mystery and reveal is quite cool. The combined mutant powers eventually leave Pointer’s body and enter’s Magneto, now powerless and writing his memoirs in the ruins of Genosha. I’ve mentioned previously that I’ve enjoyed Magneto’s older post-war attitude, so it’s fitting that he fights the possession every step of the way. It all ties back into Xorn, which is the overly confusing and frankly terrible plot web that tangled up the X-Men just before the era I returned to in Marvel continuity (circa 2004). Thankfully it’s handled much better here – Magneto/Xorn raises the dead bodies of mutants while our New Avengers battle them in an epic climax. Agent Daisy Johnson (whom is apparently Skye in the Agents of SHIELD TV show) is brought in by SHIELD to cause a localized quake in Magneto’s mind, ripping Xorn from his body. Sentry then hurls the energy ball into the sun. Does this effectively destroy the last vestiges of all those lost mutant powers? Either way it was a fun, action-packed story and neat way to tie into a dangling thread from House of M.
On the other hand the “New Avengers Disassembled” story arc is nothing more than a series of single issue tie-ins that attempts to shed some background light on some of the team members during the events of Civil War. Each issue is drawn by different artists with very different art styles, so it’s a bit jarring to read them one after the other. The five issues serve as one-offs for Captain America, Luke Cage, Spider-Woman, Sentry and Iron Man. 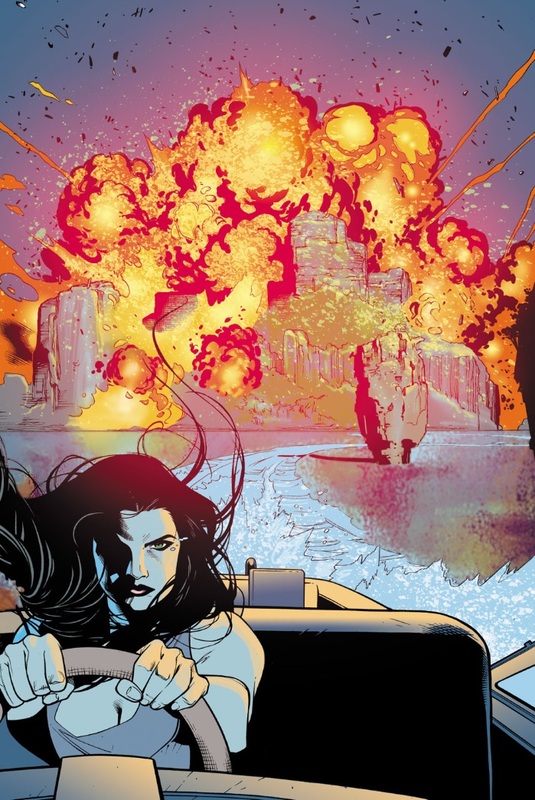 Luke Cage and Spider-Woman were the best; Cage and Iron Man have a deliciously tense discussion over the Superhuman Registration Act (Luke Cage would go on to join Captain America’s resistance team), while Spider-Woman’s personal arc with Hydra fits nicely for a one-off adventure where they try to openly recruit her – and her answer involves driving a speedboat away from an explosion. The Civil War stories are a good example of when an event completely stalls another series. While the event itself is fantastic, New Avengers definitely suffered and was hamstrung into doing side stories with little to no actual plot development. In my perusal of more than half the Civil War tie-ins, it was definitely one of the worst. However, I do look forward to the new world order that’s created after that massive event as Tony Stark creates his own officially government sanctioned Avengers team in Mighty Avengers, while New Avengers continues on as an underground resistance still fighting the good fight.